1. We spent more time getting a good picture of this chuck roast than we did getting this year’s family photo. Priorities. 2. Taken mere moments after she rolled over for the first time. 3. 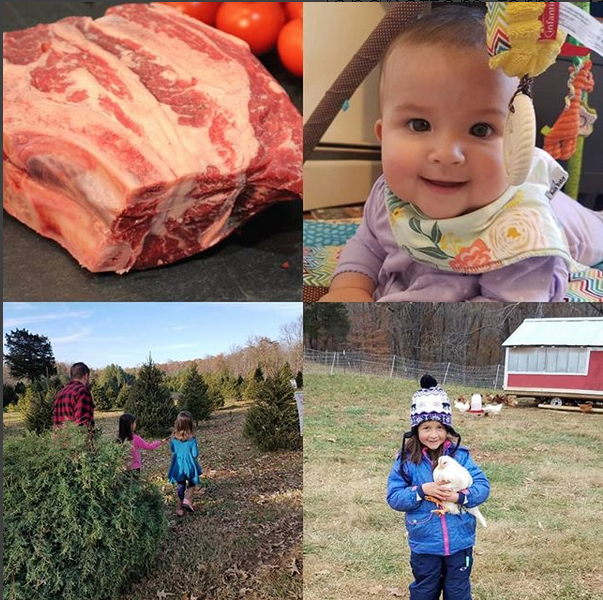 61 degrees of loveliness at the Christmas tree farm. 4. Fire ant has been a bit standoffish lately, thank goodness Lily was a willing stand-in.